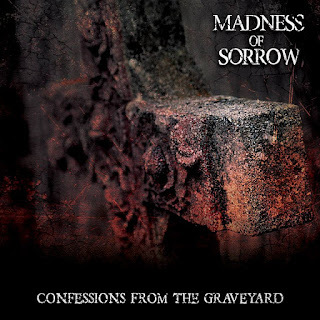 Gothic, metal, horror trio MADNESS OF SORROW have released their fifth full-length album to date titled "Confessions From The Graveyard". With this album, came not just changes over the years and within the band, but so much emotion with it as well. Shows are set with more content to be released soon enough. Main man vocalist/guitarist Muriel Saracino goes into talks about this overdue discussion of lengthy time frames, music, and much more! 1. So it has been 6 years since we first and last spoke, so summarize for me what Madness Of Sorrow has been up to? So, we have four albums, always being well received by the audience, a lot of changes within the line-up, with people that changed cities, other jobs, had injuries, so much that I'm not even joking. 2. During that time frame you stepped out as vocalist having Prophet fill in, upon your album "N.W.O. The Beginning", why the switch up? Unfortunately for me, asthma had returned and I had to cure myself. I had no breath to sing. Prophet is a good friend of mine, so he did a great job filling in. All things were good, I was happy as a guitarist, but he's jobless and was unable to cover the upcoming tour, that's why at the end of it all, I had decided to return and be the voice of M.O.S. 3. After that release, you return as vocalist once more, so what happened? 4. 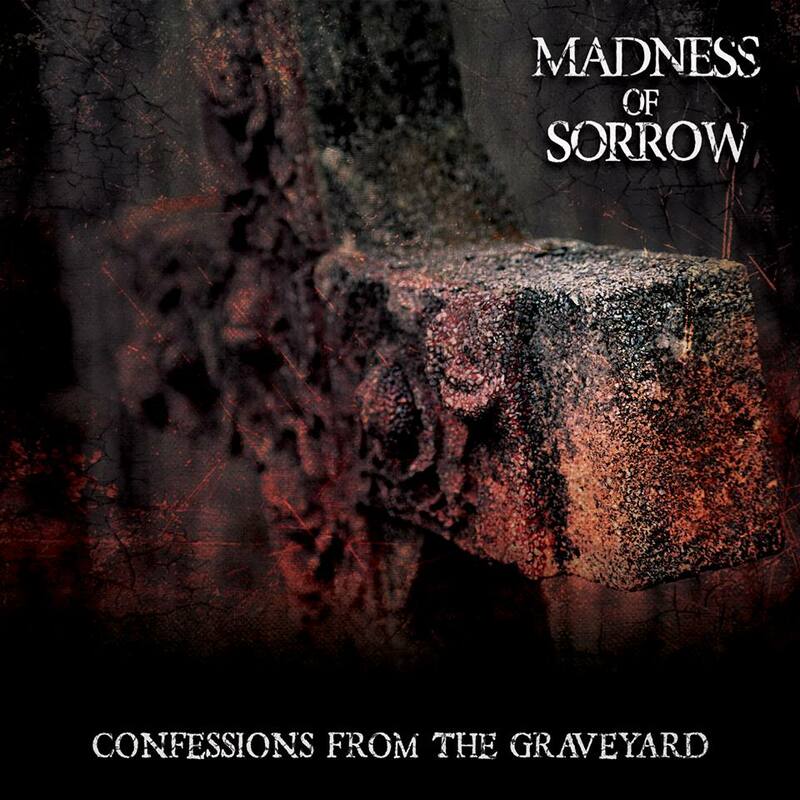 "Confessions From The Graveyard", is your fifth album to date, what comes to mind when hearing such a thing? Considering that this album was very painful to write and I wasn't sure that I could even finish it, because I've faced two months of depression, I wasn't able to do much of anything. I'm happy with all of M.O.S.' records, but this particular album is our best album to date. With five albums we are at a good point with this band. I honestly don't know how far I can go with this project at this point. 5. What is it about this particular album, that had to go down a more emotional path in terms of the lyrics and contents of it? As said, all of these lyrics are about what I've dealt with when my dad lost his battle with cancer in 2016. It's all happened within his last months of life. I remember visiting him in September, and he was able to stay standing, drive, eat, all the things that he couldn't do come December. In those three months all was changed and it was like a tornado of thoughts, things, it was all very quick and you have to react anyway. 6. Can you disclose the details behind the choice of art for the cover of this album? Emanuele Lombardi was the one who did it. He's a very good musician and talented photographer. He had listened to the record, then took this photo he had made and turned it into a piece of art, for this album. 7. How about the titling, why go with such a title, does it have a meaning to go with it? It's all about feelings, that we all experience sooner or later with the loss of someone dear to us. That being the loss of a parent, wife, husband, brother, sister, etc. All of these confessions are full of sadness, rage, desperation, loneliness, it's absolutely and extremely difficult to have the courage of speaking of it, but you find that you can slowly start to rise again, expressing oneself. 8. Throughout the entirety of your five full-length albums, the band's namesake has changed in term's of art styling, going from having "madness" be red on the first, then "sorrow" be red on the second, with "M" being red and solely alone on the third, down to the whole name being red on the fourth with the fifth having the name being white. Why go with such a pattern choice of these colors? I love red, white, and black altogether. It's a standard mix within the gothic styles I think. The "M" was designed by our ex-guitarist during our release of "III: The Best" album. It since remains as our logo because I love it too much. Usually I try to reinvent the image of the band with every release and the whole new name style is an example of this. 9. Out of all of these releases, do each of them share a connection on any shape or form? No. Every one of our releases has it's own concept, although there are various theme's connected like the rage against the church or against hypocrite people. 10. "Sanity", is your latest track to come off this album, with accompanying music video, tell me about that track and video release for us? I want something that is connected to mental illness and that is why I play the role of a patient in the video. I always joked with friends and they would often tell me, "You're crazy my answer is always the same, with me saying "I perfectly know and you're sure to be sane?" 11. Will there be any other tracks to receive this same treatment? I'm thinking about the next track being one called "Creepy", at the moment. It is a track that is something totally new in the M.O.S. discography. I think it could be a great song for a video release. There are a couple of other songs that I want to examine as well, but in time will tell for sure. 12. Since the beginning the band has always stuck to the gothic, metal, rock, horror, death, theme and genre choices, but has the sound progressed or changed during that time frame of then up until now? We started as a gothic rock band, with doom influences and from that album "III: The Beast", I had started to include some extremely metal elements, like blast beasts on the drums, and even speedier guitar riffs. I don't want to write the same old song with every album. It has to be a meticulous writing process that I don't want to be repetitive, except for the fact that I write all the songs and something could be similar in sound at the long run of it all. 13. What other plans does the band have for the rest of 2018 going right into 2019? We are about to play some shows in Italy this month of November. We're also working to have more shows in 2019. Maybe something out in Europe again, but we have to work on it.